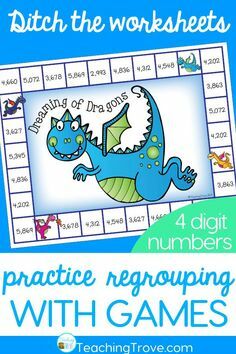 Using math games in centers is a great way to consolidate your student’s learning but how well do your kids play math games together? 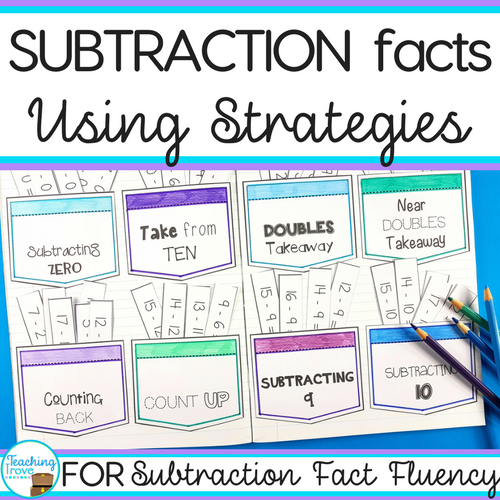 Is it a chance for them to practice or revise concepts in a fun and motivating way? Or do they focus on just getting to the end of the game and winning? 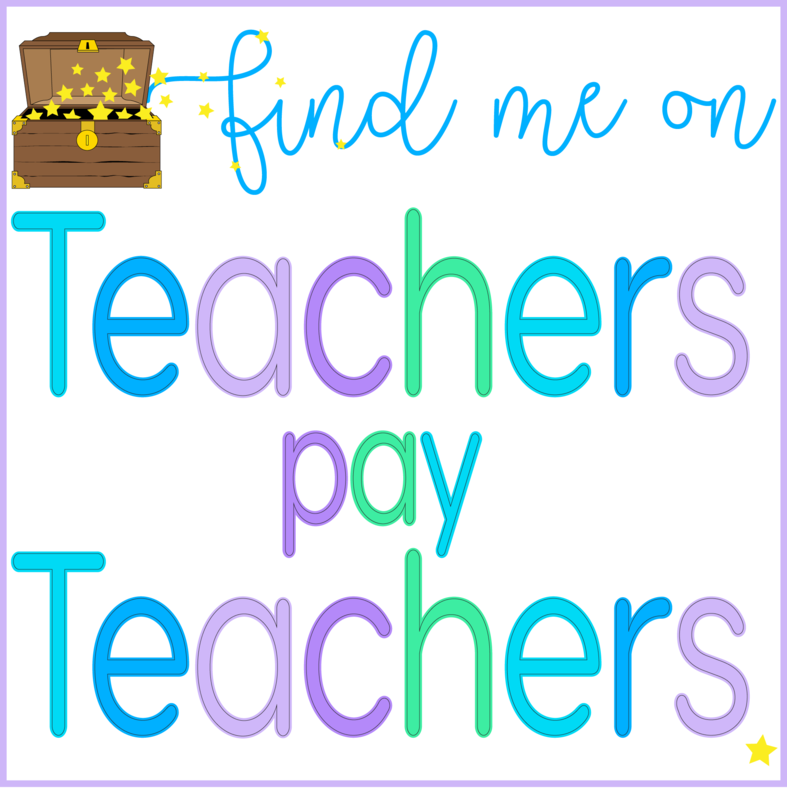 Do they spend time arguing over who goes first or do they get to the center activity, know what to do, play nicely together and learn? 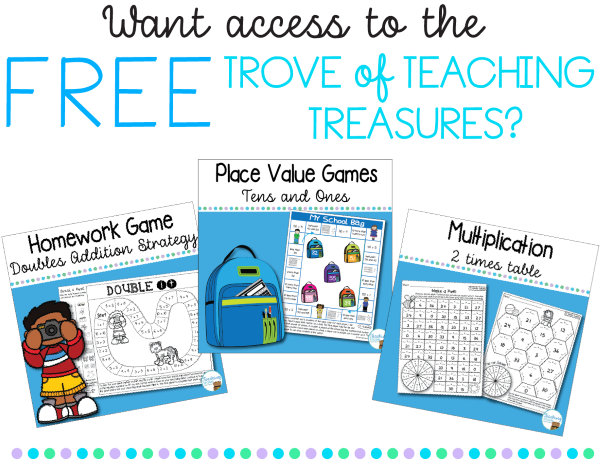 We know how we want the activity to go but how do we ensure that including math games in center time is successful? 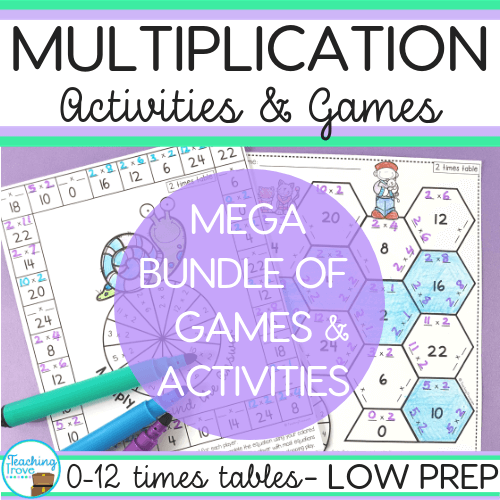 It doesn’t take long to actually play a bit of the math game with the class first. 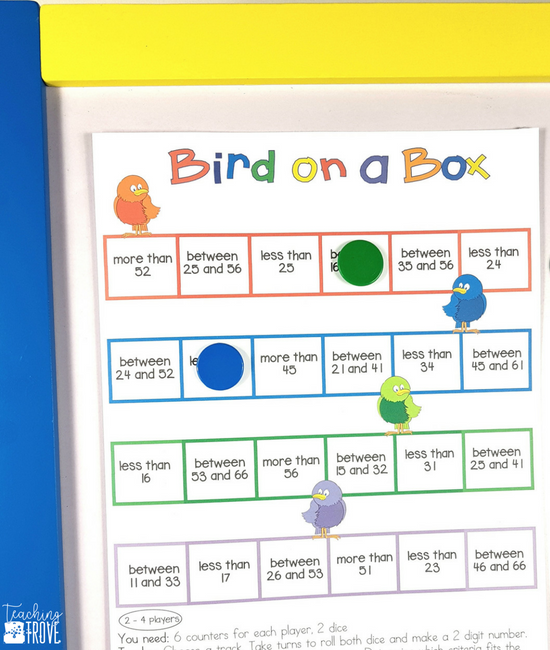 Sit the class on the floor and use blue tac or sticky tac to attach the game to a mobile whiteboard. 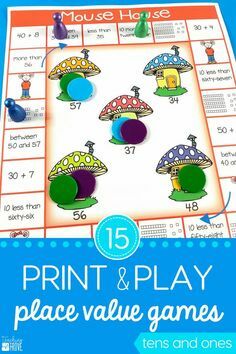 Use counters as game pieces and put some blu tack on them too. Talk about the rules as you play. 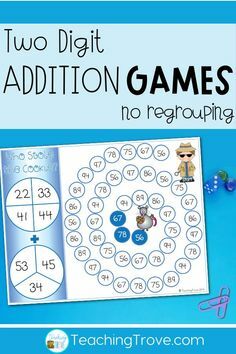 Once kids move off to the centers place the instructions, rules or ‘I Can’ visual instructions with the game for your kids to refer to. 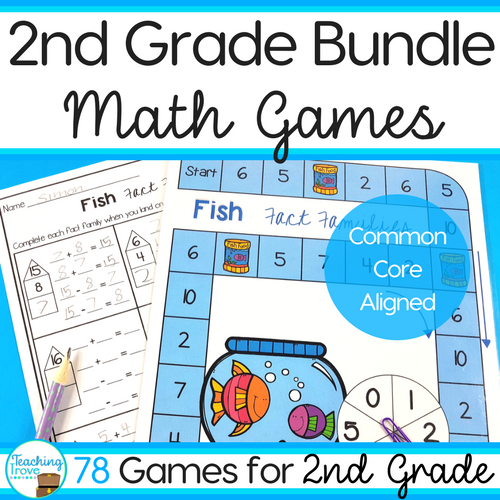 Only introduce one new math game to the center that day. Introducing too many games at once can lead to confusion. Kids start to mix the rules of different games together which can lead to disagreements or even the purpose of the game being changed. Time is wasted if you haven’t established a system for deciding who will go first at the center. 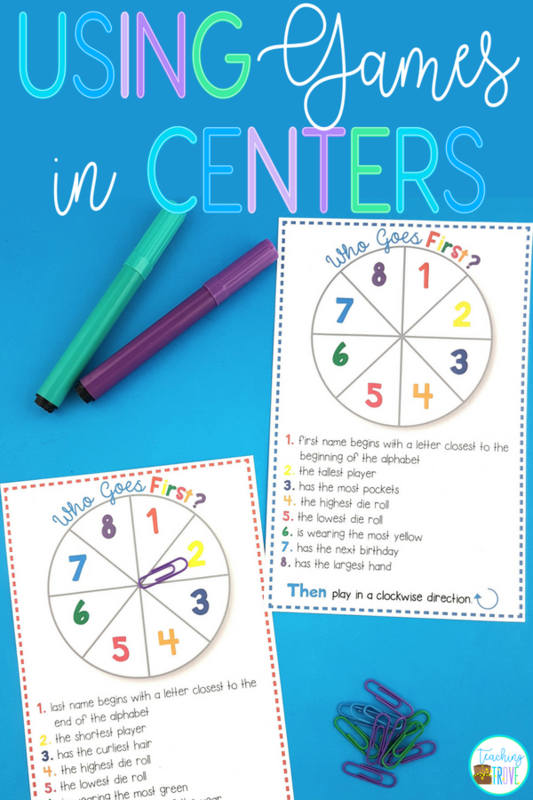 If you’re using a center schedule that lists the children’s names in that group, you may like to have the first child (or last) start the game then have the children play in a clockwise direction. This prevents arguments about who goes next. 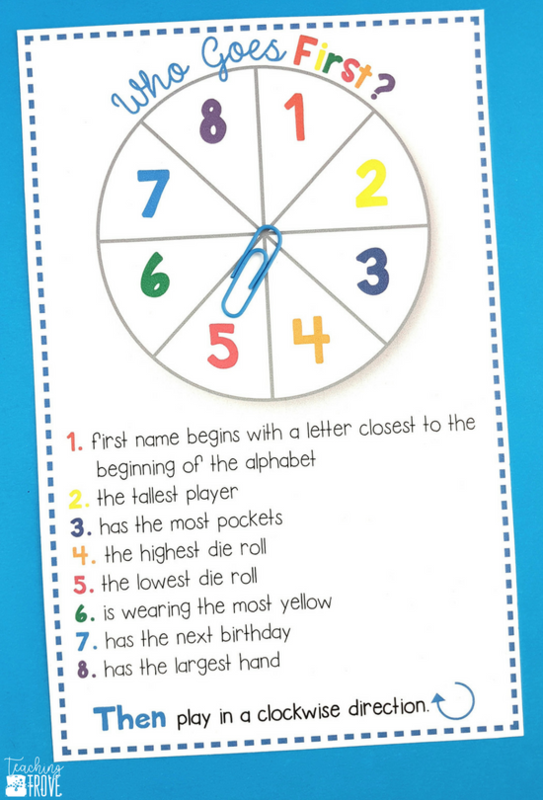 A ‘Who Goes First’ spinner can also help kids decide and add a little fun to the process. 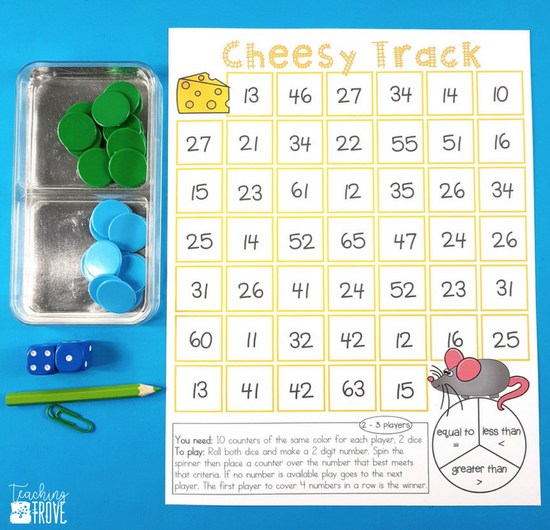 Not all games come with recording sheets but it’s easy to get kids to write answers in a notepad or on a mini whiteboard to make sure that this is actually a learning time not just a chance to come first when playing a game. 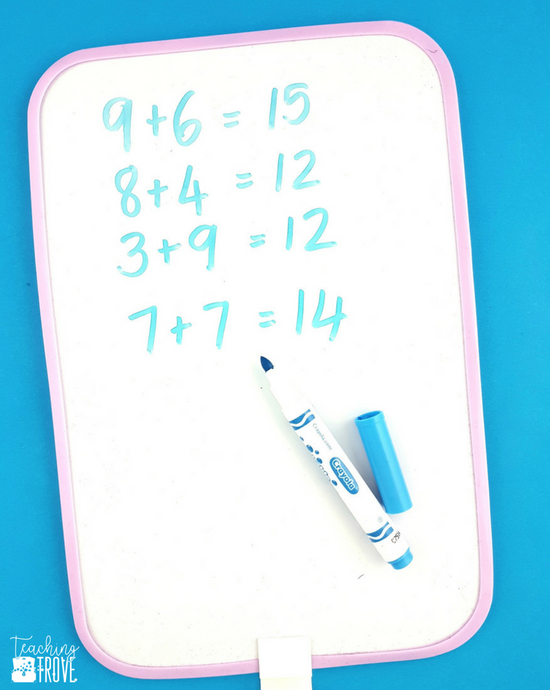 Before they move to the next station have them hold up the whiteboard or notepad. You don’t need to mark their answers if it’s a game. Kids are pretty good at letting their partners know is the answer is wrong. After all, they won’t be able to move their marker on the board game. Have each group pack up the game ready for the next group. Clearing and then setting up the game wastes time. The game should be ready for the next group to play straight away – cards stacked, game pieces and dice together. 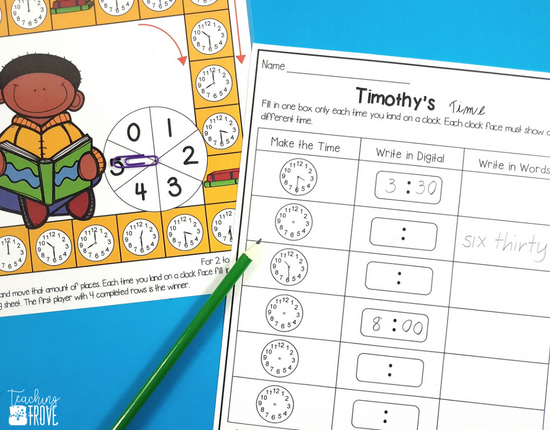 When you’re working out the time children need at each rotation, factor in the tidy up time. You might even like to play music during this transition. 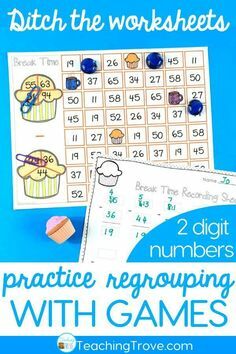 And of course, if you are running a guided math group this time allows you to get what you require ready for the next group you’ll be working with. 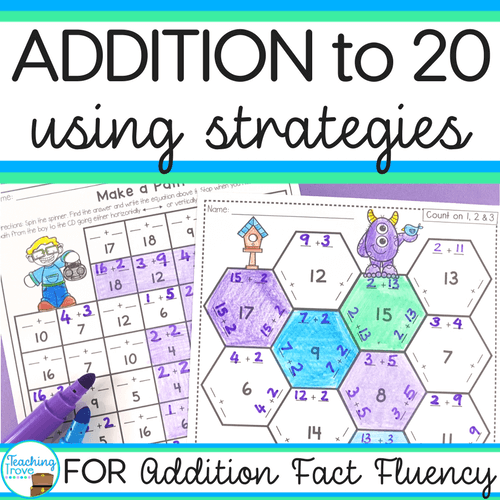 Using math games in centers is a wonderful way to provide students with the opportunity to practice and apply skills and strategies in a non-threatening way. 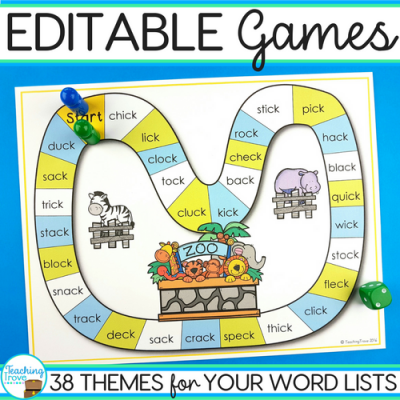 Heaps better than a boring old worksheet any day of the week!